I remember as a child growing up in the country, the sheer joy of being able to go outside and lay in the grass at night to look up at the stars. Mom and Dad bought me a telescope to enjoy the experience further. I also remember being guided up the road to my grandma’s house in the dead of night by the Northern Lights. Today, many folks don’t get to search for the Big Dipper because it can’t be seen. The culprit? 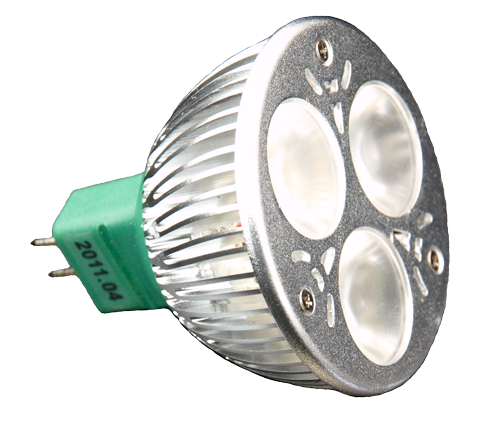 Increasing urban populations has led to more light requirements. The biggest issue here is that this lighting is often done poorly or just plain wrong. Light trespass, glare and clutter all combine as the elements of light pollution. For our part and how it relates to landscape lighting, we focus on some key points so as not to contribute further to the amount of light pollution. Up-lighting is a major component of what we perform, but we are cautious to use shrouds, guards, lenses and not overly bright lamps to minimize or eliminate glare. It is also important to monitor our directions and angles. Path lights, post lights and linear lights are chosen because of their ability to throw light downward to an intended target and not spilled to unwanted places. 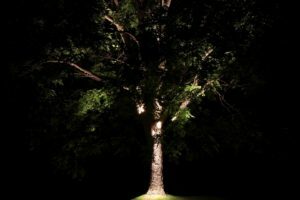 This entry was posted in Landscape Lighting and tagged landscape lighting, light pollution, up lighting on June 15, 2017 by moonglow. It never fails – you’re driving down the highway when a little light appears on the display. Time for service. Just like a car, your landscape lighting system needs service. Unlike your car however, there isn’t any sort of indicator as to when this needs to happen. More often than not, servicing becomes a reactive process only. 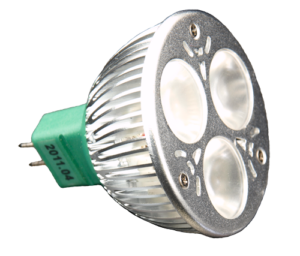 Proactive lighting service is seldom discussed, but it is essential every one to two years. So, what could possibly need servicing on your lighting system? This Spring, contact us to service your lighting system so you can get back to enjoying beautiful evenings outside! 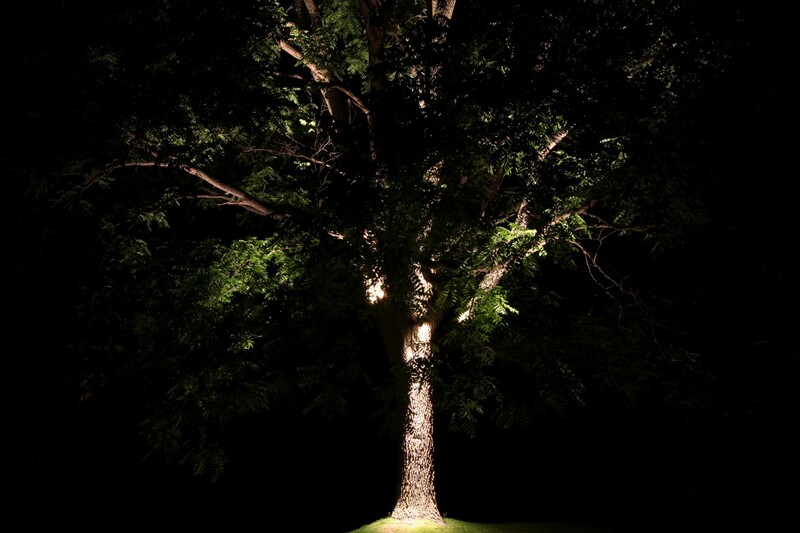 Want to spread your love of landscape lighting? A referral is the best compliment you can give! Feel free to share the post cards and business cards with your friends and family. We would be happy to meet with them. This entry was posted in Landscape Lighting and tagged landscape lighting, landscape lighting maintenance, lighting maintenance, outdoor lighting on April 15, 2017 by moonglow. It is important to note that not all of these are required when choosing how your lighting will appear. It is important that the elements you request are fulfilled. This would seem to be the most obvious reason to light. 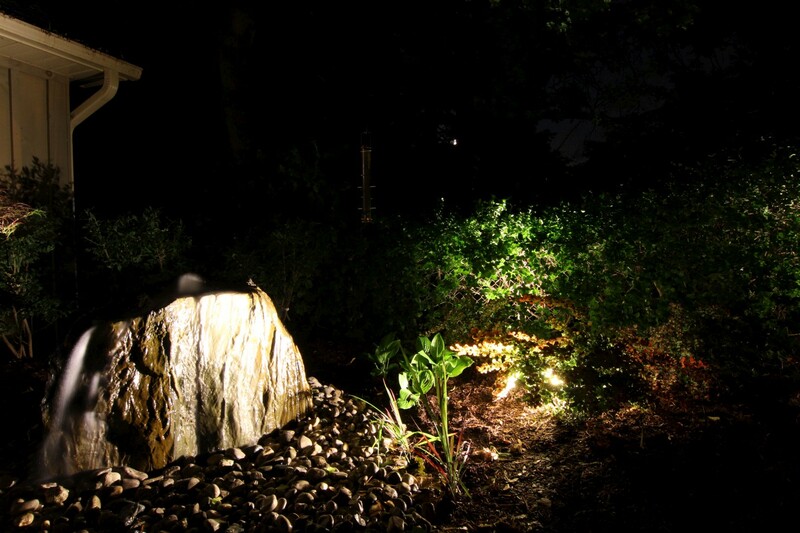 Most people who look up landscape lighting on the internet are looking to see beautiful images of trees, pathways and other garden features elegantly lit. A well-balanced display of eye-catching light will wow not only you, but the guests that you are sure to invite in to see the results! When it comes to providing safety and security through light, it is so important to make sure this is achieved 100%. Changes of elevation, steps, railings, and pathways are key areas to light with regard to safety. Too bright can make for overly dark spots and ‘unknowns’ in the property. The right light level not only gives safe passage but also creates somewhat of a barrier beyond the light, keeping intruders outside. Getting your family and friends on and off of the property at night is most important. With the ever-growing popularity of the ‘stay-cation’, light is an integral part of the yard. 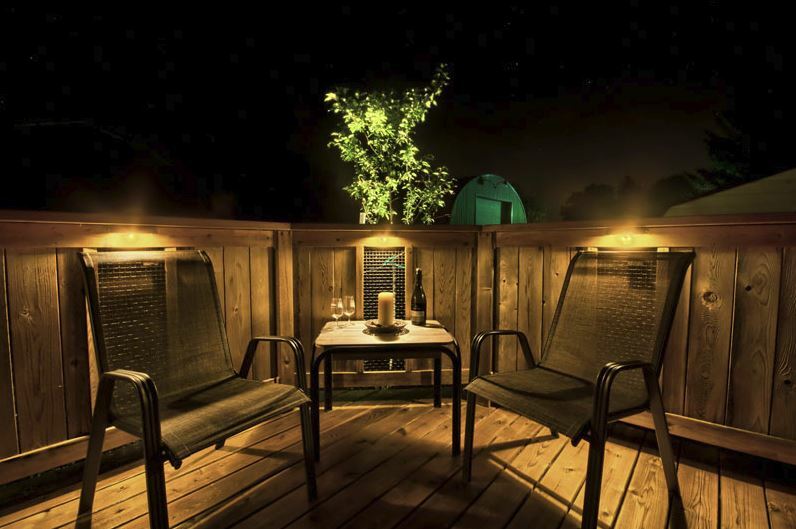 Patios, decks, pergolas, gazebos, and pool and hot tub areas deserve the proper light levels to be able to enjoy your investment well into the evening. Whether you are enjoying a dip in the pool or a glass of wine, light will make it that much more inviting! No matter which of these points matter to you, we are excited to meet to discuss your lighting dreams and make them a reality! Contact us today.